George Silzer has been a Grand Lake personality for nearly fifty years. Whether aware of Silzer for his involvement in the historic annual Dripping Springs Moon-Off, from years gone by and eventually busted by former Governor Bellmon, his part in assisting with the raising of the Cherokee Queen from the lake’s murky bottom, the transportation of some of inland America’s watercraft to distant locations or mechanical repairs on most anything which floated, it will probably come as a surprise that his roots were originally in the agricultural sector. George was raised on a farm in Illinois and the Silzer family owned and operated a dairy farm, south of Tulsa near Glenpool, back in the day before George found his way to Grand Lake. The family would spend weekends away from the dairy business boating on lakes like Tenkiller and Fort Gibson. George remembers those early day boating experiences fondly and laughs when he describes the mixing of boating and managing a dairy operation like it was yesterday. 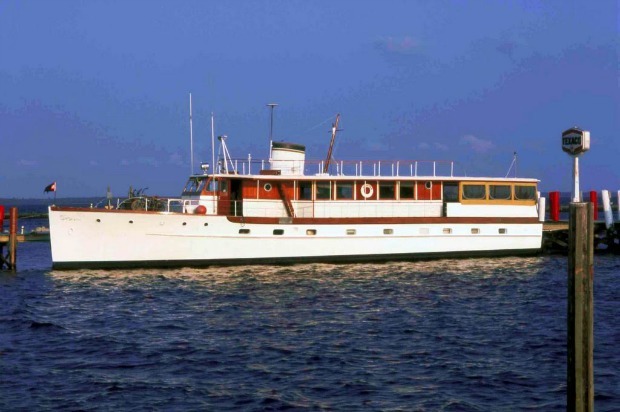 That was the start of a love affair with all things related to the commercial aspects of recreational boating, which would include boat hauling, mechanical repairs, boat salvaging and even becoming a collector of classic wooden cruisers and showing them throughout the country. This dairy farmer turned Laker didn’t let much hay grow beneath his feet. The Silzer family eventually sold the dairy farm and purchased a cattle operation near Locust Grove. Their passion for everything boating was somewhat simplified managing cattle as opposed to a twice-a-day milking enterprise. With their passion for boating, it was just a matter of time before they discovered Grand Lake. Actually, Wade had found a job as a mechanic at Port Tyler working for Fred George and that’s how George Silzer met Fred George. The two hit it off and George negotiated a lease with Fred for an old shop west of Ketchum and a Grand Lake marine services company was off and running. Today, Wade Silzer, along with his wife and business partner Paula, own and operates the TowBoatUS franchise on Grand Lake, a marine storage facility and Rebel Marine, a restoration and mechanical repair business. 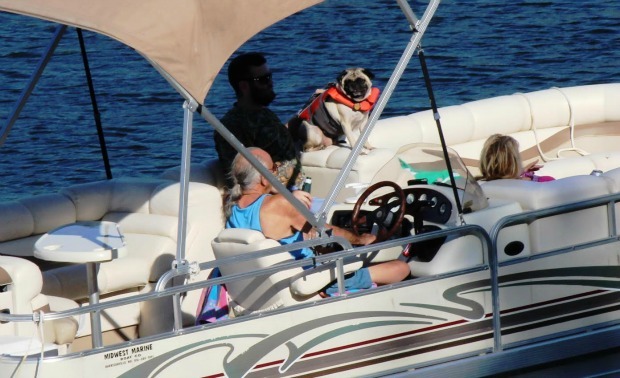 And George, who gravitated to the commercial transportation of boats of all sizes, still owns and operates Custom Yacht Services, formerly known as Ship-to-Shore Marine Services, with locations on Grand Lake and in Sallisaw. After cutting his teeth on minor boat repairs, George Silzer has hauled boats for some of Oklahoma’s elite personalities. Silzer credits Jack Hodges for giving him his first job hauling a really big boat. George, who has never suffered from a confidence problem or shied away from a challenge which might yield a buck, had heard that Hodges was looking to transport his Bertram Yacht to Florida for the winter. He approached Hodges about doing the haul. According to Silzer, Hodges was seriously unimpressed and questioned whether he even owned a trailer large enough to pull the boat out of Grand Lake, much less haul it to Florida. Since Hodges was successful in the oil field transportation business, he was no stranger to evaluating the worth and capabilities of trailers. George insisted Hodges at least look at his newly acquired trailer and the end result was a big boat hauler was born. Silzer has hauled some of America’s largest boats nationwide, from port-to-port and for just about every Grand Lake boat dealer, both past and present. He recalls many by name like Carlos Langston, the Howsers, Joe Harwood and many more, but over the years he did more business with Ugly John Mullen than anyone else. This past June, Silzer elected to forgo any more radiation or chemotherapy treatment. He climbed in his RV, along with his wife Jo, and set out to travel. He recently returned to Grand Lake, and some say, looking better than when he left. Silzer might be battling colon cancer, but has not lost that thirst for a good time, the signature ponytail or that twinkle in his eye, which was probably most responsible for the birth of the Dripping Springs Moon-Off, along with his close friend, the late, great Richard Gilliam. And as we can attest after this past Labor Day weekend Saturday, George is still mooning after all these years. The calmer, gentler Grand Lake might appeal to many, but for some of Grand Lake’s old-timers it seems like yesterday that Silzer, aboard his rambunctious cruiser the “Katy Did,” and Richard Gilliam, aboard his classic wooden cruiser, the “Mooner,” could be found cruising into the springs on any Friday of the Memorial Day weekend to incite a three-day Moon-Off competition. And he’s still got the tee shirt to prove it!